Only admins can change the payment method. 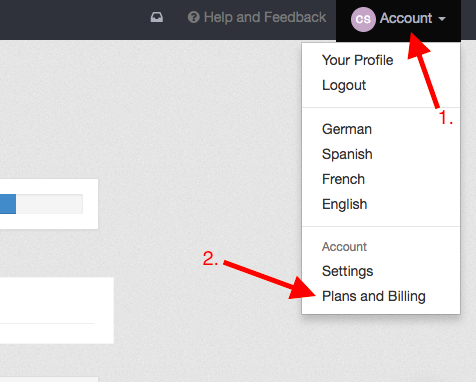 Go to "account" and "plans and billing". Here you can check your billing address and change it if necessary. Click on "continue" and in the next step chose the payment method by clicking on it and "save". If you chose direct debit or credit card method, there will be a 1,00€ fee for activating the payment method, which will then be transferred back.